RV Tire Safety: HELP! We get tire "Flats" every year. or are they Tread Separations? HELP! We get tire "Flats" every year. or are they Tread Separations? I got a question "We have a 2012 43' 5th wheel Heartland Toyhauler, triple axle, have 235 80r 16 wheels and tires. Every year we seem to have at least 2 flats. This year we had 2 flats, going south, and by the time we arrived at our destination coming back north, (500+ miles) one of the tires were so rounded you could not stick your finger between the back and middle tire on the drivers side. We were very lucky they did not hit each other. We are wondering if we could put 12 or 14 ply tires on the same wheels? And if LT's would be better than the ST's? Wife of very frustrated husband"
Dear "Wife of frustrated" I would be glad to help out. If you check my blog, you will see I cover a lot of different questions on RV tires. My background is in the oldest post. Now to your question. I could use a bit more information. To me a "flat" just means you discover the tire has lost 20% or more of the correct inflation. To be sure I have all the information I need, could you answer a few questions? 1. On your 5th wheel you have a tire placard (usually on outside of the RV toward the front of the driver side on the side of the trailer. 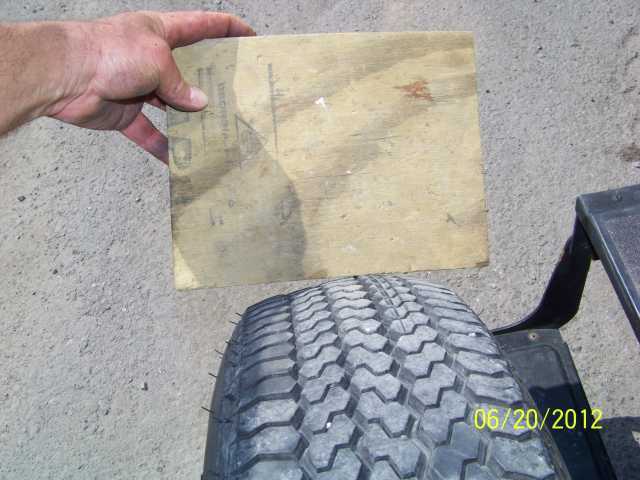 This placard has tire size and inflation information similar to what is seen in attached Label. jpg. .There should also be some information from Heartland on the GAWR (Gross Axle Weight Rating) for your specific trailer in the stuff you got with your purchase. It might be 6,000# or similar number. 2. To confirm the tire size you are running you have "ST 235/80R16 LR-E" The LR-E is Load Range E The "ST" before the numbers is "Special Trailer"
3. You might want to review THIS blog post on how to "read" a tire. 4. Is the tire inflation on your placard 80 psi? Is that the inflation you set the tires to in the morning before travel? You can learn more about inflation HERE. 5. Here is an important question. Have you ever had the trailer on a scale? The actual tire load is the 2nd most important thing to know with proper inflation being the MOST important. 6. What do you have for a tire pressure gauge. I prefer THIS gauge as I have tested them and found them accurate. 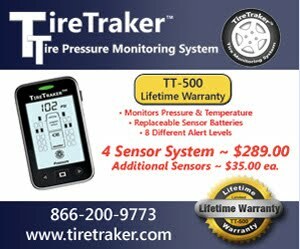 7 Do you have a TPMS to monitor tire inflation on your Trailer and Tow Vehicle? LT type tires MAY be an option but we need to be sure that whatever tire you have can support the actual load on the tires. The load on individual tires is NOT simply the load on an axle/2 and the load on an individual axle is NOT the total load/3. Calculating the side to side load is something I can help with, and is needed if we want to know the actual individual tire load. BUT the individual axle load can be learned at any CAT scale or at most truck scales, or local gravel pits or grain elevators if you check Yellow pages or Google "Sacle Location" where Location is your town or state. I hope the above is informative as it outlines the basic information needed if you have a tire problem and would like some help. Some people are more than happy to simply jump in but as an engineer I need FACTS and DATA. I will post the information received and hopefully a solution to "Wife of frustrated" problems.